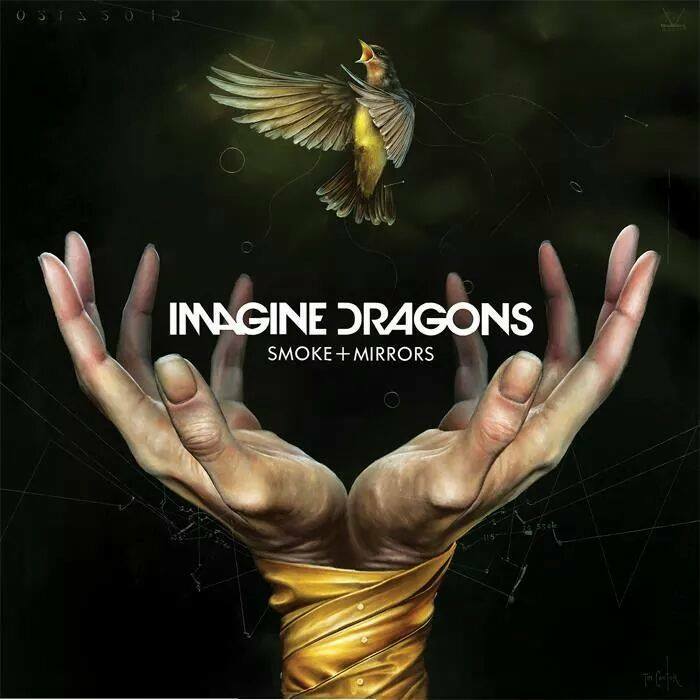 After the success of their debut album, Night Visions, Imagine Dragons are making a strong come-back with their new studio album, Smoke + Mirrors, which entered the UK, US and Canadian charts at number one in its release week. To be honest, this does not come as a surprise to me. The alternative rock band from Nevada, US has gained quite a lot of prominence over the past few years, selling out venues and securing fans all over the world. Proof of their success is their Grammy for Best Rock Performance 2014 for their, probably most famous, single Radioactive, which was also the most streamed Spotify track in the US in 2013 and was labeled as the “biggest rock hit of the year” by Rolling Stone. Night Visions was Billboard’s 2014 Top Rock Album and was the most streamed Spotify album in the US in 2013. This is just to name a few of the distinctions that the band has received so far. Smoke + Mirrors is a delightful album to listen to. Imagine Dragons’ unique sound can be heard in the tracks, most of which have pronounced percussions and incorporate various musical instruments aiding the creation of some gripping sounds. The first single of the album, I Bet My Life, was released back in October; vocalist Dan Reynolds explaining that it was about his relationship with his parents. Gold was the second single released from the album. The song’s short intro sounds like a tribal song and the chorus could be heard in the background during the remainder of the track, which potentially explores the thoughts of the band on their life after the success of their first album. The latest single, Shots, stands out with Dan’s vocal performance and the electric guitar which opens the song and could be heard throughout. A personal favourite of mine is the more melodic track Dream, which the piano, percussions, violin and chorus make quite captivating. Friction reminded me to a great extent of Disturbed’s Indestructible, the two songs having kind of similar sounding, the latter having a more heavy metal edge. Hopeless Opus combines some unusual sounds with guitar solos at the end. Other tracks on the album, contributing to the overall alternative rock sound, include Smoke and Mirror, I’m So Sorry, Polaroid, It Comes Back To You, Trouble, Summer and The Fall; the super deluxe version of the album generously adding eight more songs to the list. Posted in Music and tagged album, imagine dragons, review. Bookmark the permalink.